Go Realty Unplugged: Yep.....We're still Partying! We are having our "official" welcome to the town of Holly Springs THIS Thursday from 5:30 - 7:30 at Go Holly! What's that mean? It means another excuse to throw a party & we would LOVE it if you could join us! 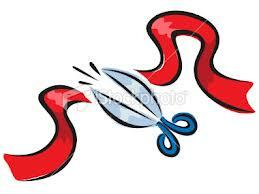 Holly Springs Chamber Ribbon Cutting - all chamber members are invited (over 300)! This is a big deal....it'll go in the Newspaper....yadda yadda! It's TONS of publicity for us & all we need to do is stand there & smile & hand people beers.....we got this!